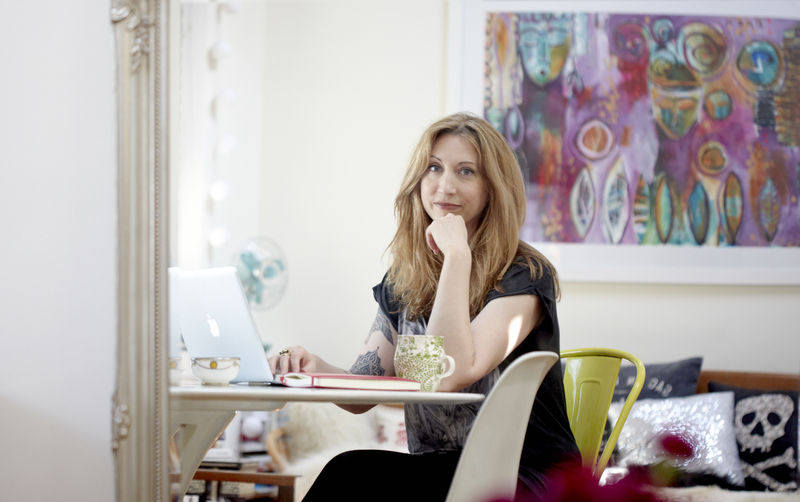 Today we welcome Susannah Conway, who has been inspiring people through her blog, courses and books for more than a decade. This is the latest interview in celebration of my new book, ‘What Helps: Sixty Slogans to Live By‘. What is your favourite slogan? “Go gently”. This is what my paternal grandmother would say to me when we said goodbye at the end of our weekly phone calls. My gran led a very quiet life with my grandfather, and up until he died she had never really been on her own. She left her family home in her late teens to live with her new husband, his three brothers and their parents. After 60+ years of marriage, she faced her final years alone and I know it was desperately hard for her. She died a few years before I faced my own bereavement, and I so often wished I could have phoned to tell her I now understood what she’d been going through. “Go gently” has become the one piece of advice I’ve tattooed on my heart. To me it means take your time, keep your head, and above all else, be kind to yourself. I try to remember this when my stress levels are spiking or I’m blowing something out of proportion. When I go gently I am calmer, more centred and more present to my world. Susannah Conway is a writer, photographer and teacher who’s been sharing her heart online for over a decade. Dedicated to helping people know, trust and express themselves better, her work is steeped in self-compassion, kindness and practicality. Susannah’s creative courses have been enjoyed by thousands of people from over 50 countries around the world and her first book, This I Know: Notes on Unraveling the Heart, hit bookshelves in 2012. Her most recent, LONDONTOWN: A Photographic Tour of the City’s Delights, was published in 2016. Visit her here.